Since today marks the second of my juice fasts for my detox, I figured it was fitting to do a post on some of the fresh juices I've been making with my Breville Juicer. If you saw my first Adventure in Juicing, you'll have noticed that I really don't follow any particular recipe, but rather just wing it. I tend to just throw in whatever ingredients I have in the house that are juiceable. Things with high juiceability. Whatever. 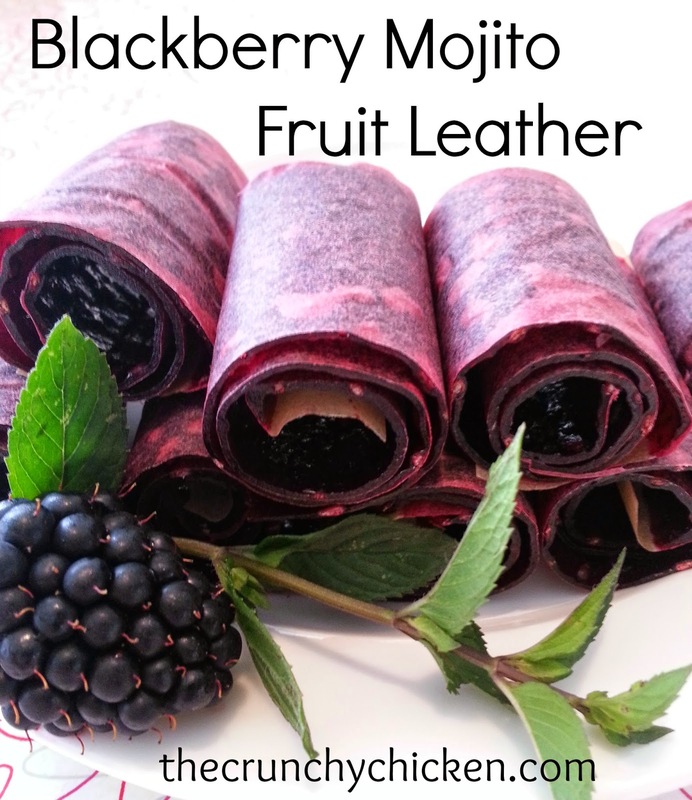 For today's Adventure in Juicing, I thought I'd share my most recent concoction. For the most part, I use this juice as a liquid base for making my daily smoothies (which I'll post about soon). When I'm juice fasting, I'll dilute this juice 50% with filtered water so I don't go into sugar shock. Yeah, pretty exciting isn't it? The lemon juice helps keep the apple juice from browning and gives it a touch of tang. The ginger gives it a fresh taste and, if you go for a large chunk, a bit of kick. As a side note, I've been so far (knock on wood) managing to fend off the latest round of cold virus that has infected the house. In spite of spending a lot of time with snotty, coughing children (and husband), I still haven't come down with it. I'm going to partially credit my boosted immune system from everything I've been doing the last three weeks. Well, that and the elderberry. It is very pretty. I forget that juice isn't all green. We put kale or spinach in almost everything now so it doesn't make nearly as appetizing a picture. I am thinking about giving up that practice. I eat 3 cups of greens daily. 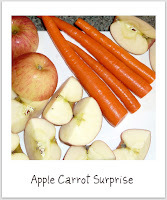 If I just juiced carrots and apples, I could use the pulp for carrot/apple cake. I love our juicer. During the summer when I have my garden in full swing, we have many interesting tasting juice's. 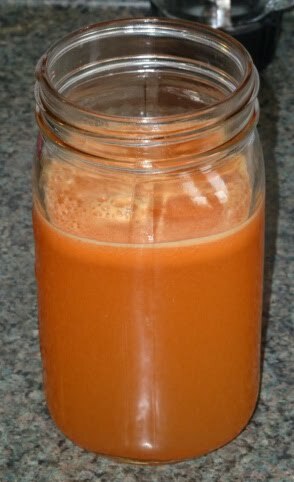 My favorite thing to do is make carrot juice to drink. I then use the carrot pulp to make carrot muffins. 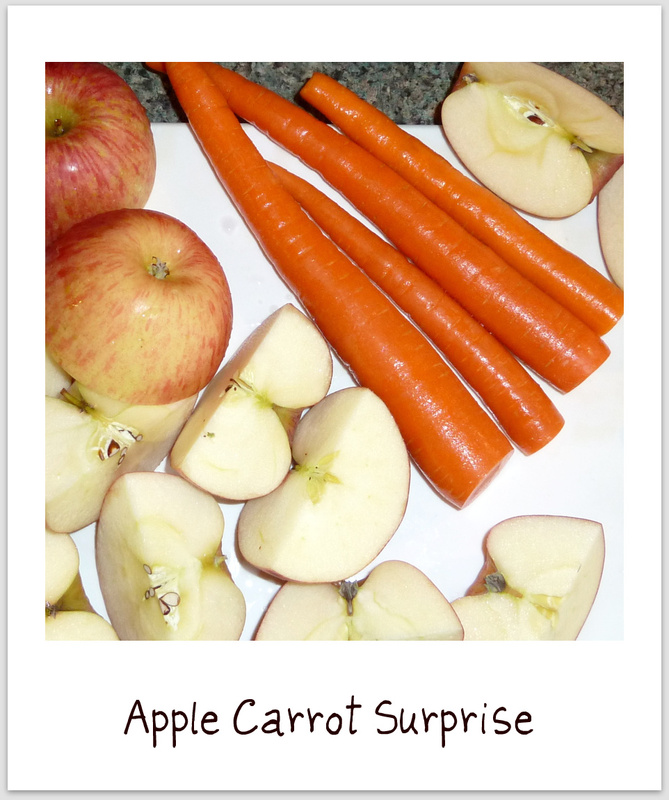 Taste way better than using regular grated carrots in the recipe. Gotta love your boosted immune system. I start to get a sinus infection, drink a ton of homegrown tea's from my voodoo stash and away it goes.